Leading Manufacturer of hplc consumables, bonded screw caps with septa, hplc liquid flowmeter, 2ml hplc vials, vials 1.5ml hplc and hplc columns from Mumbai. 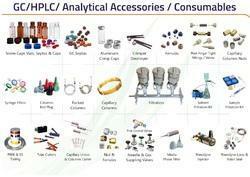 Our in-depth knowledge and industrial expertise enable us to offer a distinguished range of HPLC Consumables. We manufacture these consumables making use of optimum-grade raw material as well sophisticated technology as per the set industry standards. To deliver flawless delivery at our clients' end, these consumables are rigorously examined by our quality inspectors against various quality parameters. 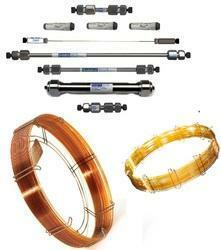 In addition to this, these consumables are widely used in various industries. HPLC liquid Flowmeter HPLC liquid Flowmeter with 3-point calibration Calibrated at 0.5, 1.0 & 2.0ml/min - other flow rates available by request HPLC liquid Flowmeter with 3-point traceable calibration. Includes carrying case, power adapter, waste container, tripod stand and calibration certificate. Standard calibration setpoints are 0.50, 1.00 & 2.00ml/minute - others available upon request by completing the HPLC flowmeter calibration form. The new instrument measures liquid flow over a wide range, from 50ml/min to 25ml/min. You can see the working flow ranges and accuracy in the table below. Flow rate is measured by volume and is independent of the liquid type up to a viscosity of 10 centipoise.The unit uses a single chip micro-controller, the flow rate (rounded to four digits) is displayed on a large four digit back-lit Liquid Crystal Display (LCD) and data can be conveniently output via the built-in RS232 interface to the full 6-digit reading. No user calibration is required; the unit is generally supplied gravimetrically calibrated at 1.0 (+10%) ml/min. Calibration at multiple points is available. All wetted parts are made of PTFE , PEEK, DAI-EL PERFLOUR or Pyrex glass. There are no wetted metallic parts. We are very excited about our newly designed flow meter for HPLC. These liquid flow meters have improved performance and a dramatic reduction in size and weight - one third the size and weight of the previous models. 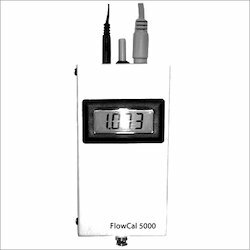 The FlowCal 5000 digital liquid flow meter accurately and reliably determines liquid flow. It is designed primarily as a flow meter for HPLC systems used at the end of a flow system where measured liquid is collected. Includes carrying case, power adapter, waste container, tripod stand and calibration certificate. New PEEK valve which is fitted with a soft elastomer seal and PTFE diaphragm. The newly designed sensor head is more stable. The user replaceable inlet pipe - is made with a 1/16 inch diameter PEEK tube. New modern looking and light weight brushed aluminum case the total unit now weighs only 12 ounces. 2mL Clear Glass 12x32mm Flat Base 9-425 Screw Thread Vial. 100pcs/pk. 2mL Clear Glass 12x32mm Flat Base 9-425 Screw Thread Vial with with White Write-on Patch and Graduation Lines. 100pcs/pk. 2mL Amber Glass 12x32mm Flat Base 9-425 Screw Thread Vial. 100pcs/pk. 2mL Amber Glass 12x32mm Flat Base 9-425 Screw Thread Vial with White Write-on Patch and Graduation Lines. 100pcs/pk. 2mL 9-425 12*32mm Clear Screw Thread Vial Bottom with Integrated 0.2ml Glass Micro-insert. 100pcs/pk. 2mL 9-425 12*32mm Amber Screw Thread Vial Bottom with Integrated 0.2ml Glass Micro-insert. 100pcs/pk. 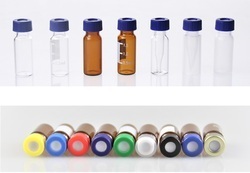 2mL,9-425 Wide Opening PP Screw Vial with Graduations Transparent . 100pcs/pk. 0.3mL 9-425 PP Screw Thread Micro-Vial Translucent. 12x32mm. 100pcs/pk. 2mL 9-425 12*29mm Clear Screw Thread Vial Top with Integrated 0.2ml Glass Micro-insert. 100pcs/pk. Blue 9-425 Open Top Smooth Screw Cap. 100pcs/pk. Blue, 9-425 Open Top Screw Ribbed Cap, Short Height. 100pcs/pk. 9-425 Open Top Gold Magnetic Screw Cap. 100pcs/pk. 9*1mm, Red PTFE/White Silicone Septa. 100pcs/pk. 9*1mm, White PTFE/Red Silicone Septa. 100pcs/pk. 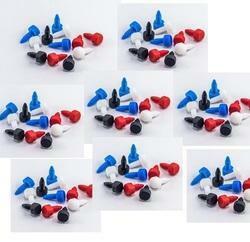 9*1mm, Blue PTFE/White Silicone Septa. 100pcs/pk. 9*1mm, Red PTFE/White Silicone Septa, PRE-SLIT. 100pcs/pk. 9*1mm, Blue PTFE/White Silicone Septa, PRE-SLIT. 100pcs/pk. 9*1mm, Red PTFE/White Silicone /Red PTFE Septa. 100pcs/pk. 2mL, Clear Glass, 12*32mm, Flat Base, 9-425 Screw Thread Vial,100pcs/pk. 2mL, Clear Glass, 12*32mm, Flat Base, 9-425 Screw Thread Vial with White Write-on Patch and Graduation Lines. 100pcs/pk. 2mL, Amber Glass, 12*32mm, Flat Base, 9-425 Screw Thread Vial. 100pcs/pk. 2mL, Amber Glass, 12*32mm, Flat Base, 9-425 Screw Thread Vial with White Write-on Patch and Graduation Lines. 100pcs/pk. 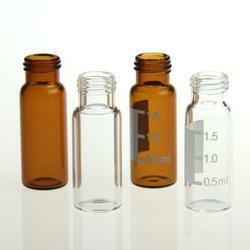 Snap Vials in 11mm size provide a secure seal that minimize evaporation, even with volatile samples. Snap caps are often more convenient than crimp caps they can easily be applied and remove by hand. 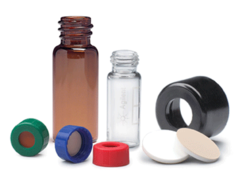 An audible click ensures a secure seal has been formed and that the cap is correctly aligned.Both snap and crimp vials can be closed with either snap caps or crimp caps. 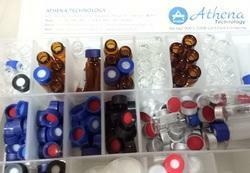 Clear and amber vials with or without graduated writing area in available. Both pre-slit and non pre-slit caps are in supplied.All of Starlab vials are excellent fitted for autosamplers. 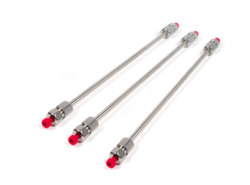 With our rich industry experience, we trade, export, distribute and supply a wide range of HPLC Column. This column is manufactured in compliance with international standards using supreme class raw material and cutting-edge technology at our vendors’ end. Available in various specifications as per the specific requirements of the clients, this column is highly appreciated in the industry and are offered at the most affordable price. A monolithic HPLC column, or monolithic column, is a column used in high-performance liquid chromatography (HPLC). The internal structure of the monolithic column is created in such a way that many channels form inside the column. The material inside the column which separates the channels can be porous and functionalized. In contrast, most HPLC configurations use particulate packed columns; in these configurations, tiny beads of an inert substance, typically a modified silica, are used inside the column In analytical chromatography, the goal is to separate and uniquely identify each of the compounds in a substance. Alternatively, preparative scale chromatography is a method of purification of large batches of material in a production environment. The basic methods of separation in HPLC rely on a mobile phase (water, organic solvents, etc.) being passed through a stationary phase (particulate silica packings, monoliths, etc.) in a closed environment (column); the differences in reactivity among the solvent of interest and the mobile and stationary phases distinguish compounds from one another in a series of adsorption and desorption phenomena. The results are then visually displayed in a resulting chromatogram. Stationary phases are available in many varieties of packing styles as well as chemical structures and can be functionalized for added specificity. Monolithic-style columns, or monoliths, are one of many types of stationary phase structure. Our reputation in the market is largely attributable to our precision-designed GC and HPLC Column, from our extensive collection of products. This column is available in various sizes, lengths and thickness. This column is manufactured making use of excellent grade material and cutting-edge methodology by our deft professionals. To ensure its quality, this column is strictly tested on various quality measures by our inspectors. Besides, unique quality and perfect finish increase the demand of our provided column in the market. We are actively engaged in trading superior quality range of GC Capillary Columns. The offered capillary columns are precisely designed and manufactured by utilizing top-notch quality raw material and modern machinery in adherence to international quality standards at vendors end under the supervision of quality controllers. Besides, we offer these GC capillary columns in various specifications at reasonable prices. With enriched industrial experience and knowledge, we are providing an excellent range of HPLC and GC Consumable Item. 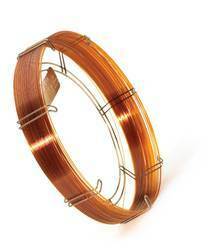 The offered items are manufactured using optimum quality basic material and advanced technology at vendors' end. In addition to this, our products undergo various tests under the supervision of quality controllers, in order to ensure its flawlessness. Clients can avail these items from us, at market leading rates.